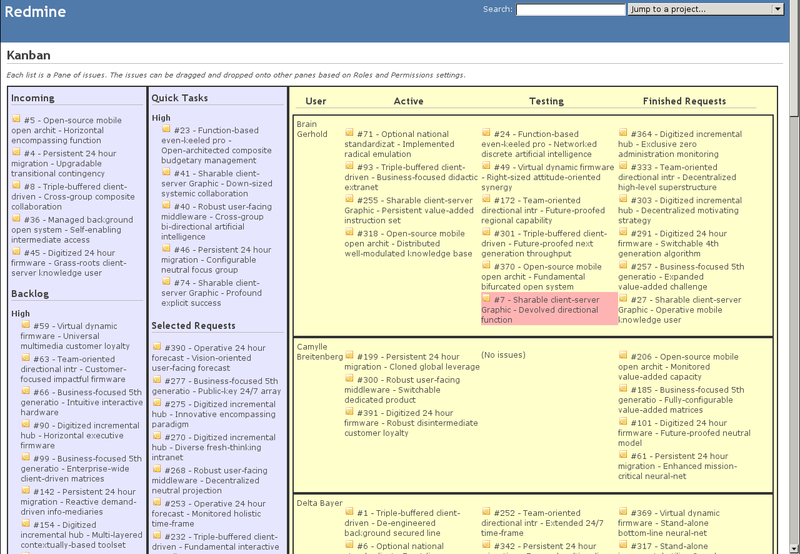 The Redmine Kanban plugin is used to manage issues according to the Kanban system of project management. Login and configure the plugin (Administration > Plugins > Configure). See below for the recommend approach. This plugin requires some configuration so it knows your specific Redmine environment. The Readme shows a recommended configuration that I used during development. Future versions will allow more customizations like turning off some of the panes. If you need help you can contact the maintainer on the bug tracker located at https://projects.littlestreamsoftware.com.